CHENNAI: Remember the massive oil spill that polluted the Chennai coast a few months ago? The coast is now totally clean, if you were to go by a report Union Ministry of Environment, Forests and Climate Change and the Tamil Nadu Pollution Control Board. The report says scientist Sundar Ramanathan, regional office, MoEF&CC, Chennai along with D Vasudevan, district environmental engineer of the TNPCB and two other pollution board officials, carried out an inspection of Kamarajar Port and the shoreline stretch from Ennore in Tiruvallur district to Kanathur in Kancheepuram district and found no trace of oil or tar balls. 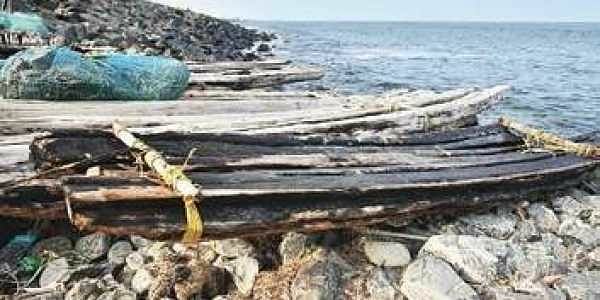 An official of the Central Marine Fisheries Research Institute told the Express on condition of anonymity that the expert committee formed by the Department of Environment had submitted a preliminary environment impact assessment report to the State government. “The preliminary analysis showed significant damage to bottom and intertidal fauna, which are critical for sustainability of coastal ecosystem. Only an in-depth study will reveal the complete truth,” the official said. The port is yet to obtain authorisation for treating oil-contaminated sludge and sand. The port has received 213.95 kilo litres of oil sludge and 250 tonnes of contaminated sand for bioremediation. During the joint inspection, the officials found that there was no authorisation obtained under the Hazardous Wastes Rules, 2016. Also, there was no kreb wall, fencing or even the signboard at the bioremediation site. Besides, the material used for the clean-up were found unscientifically stored.